Controlling traffic on streets and highways. Whether alerting drivers about road obstructions or guiding them to designated routes, traffic cones are typically used to mark what are officially known as Temporary Traffic Control (TTC) Zones. These are areas of a public roadway where user conditions have been changed. When it comes to using traffic cones on streets and highways, the U.S. Department of Transportation's Federal Highway Administration (FHWA) sets minimum standards for maximum safety and effectiveness. To be approved as a device for channeling or guiding traffic, cones must meet requirements for height, color and luminance set out in the FHWA’s Manual for Uniform Traffic Control Devices (MUTCD). This includes standards for nighttime use, when devices such as Traffic Safety Direct’s 28-inch reflective traffic cones must be retroreflectorized or equipped with lights. Our MUTCD-compliant cones come with 4-inch and 6-inch 3M Scotchlite Reflective stripes to maximize driver and pedestrian visibility in low-light or nighttime conditions. Warning to proceed with caution. From short-duration utility work to unseen hazards such as potholes and raised manhole covers, traffic safety cones alert pedestrians and drivers to proceed with extra caution and make any roadside emergency situation safer. Often the visual prompt of a safety cone is warning enough for people to avoid potential danger. Traffic cones are often used to highlight restricted areas and temporarily limit access. Designed to be highly visible and easily movable, cones are ideal for situations ranging from marking wet floors or the presence of hazardous materials to crowd control or indicating a path for waiting lines during special events. Because these devices are portable, you can use them as needed and store them for future use when you’re done. When it comes to communicating safety warnings or rerouting car and foot traffic, traffic cones are convenient and cost-effective tools. Simply mount a message or directional sign on top of the cone to make it noticeable anywhere, from corridors with slippery surfaces to areas that are temporarily closed for repairs. 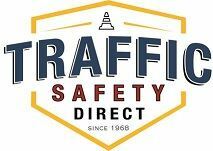 Traffic Safety Direct can create 12" x 13.25" custom cone signs that are fade and UV resistant. Our brightly colored cones are ideal for organizing outdoor activities for children and adults. 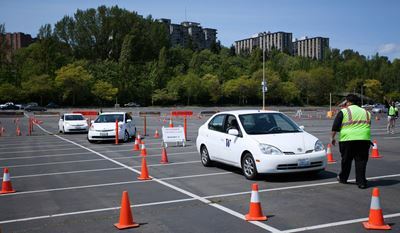 From marking the field for soccer practice to helping teen drivers practice their parking skills, cones can be used to delineate boundaries for fun as well as for safety. The versatility of traffic cones is as limitless as your imagination. But whether you use them for safety reasons or something more creative, it is important to choose high-quality cones that are the right size, color and style to suit your needs. Traffic Safety Direct’s traffic cones are available in a wide variety of heights and colors, including 12 and 18-inch reflective and non-reflective cones that are durable and stackable for easy storage. Our traffic cone colors include orange, lime, blue and white, and custom stenciling as well as accessories are available. All of our cones and accessories are in stock and ready to ship, so contact us today!